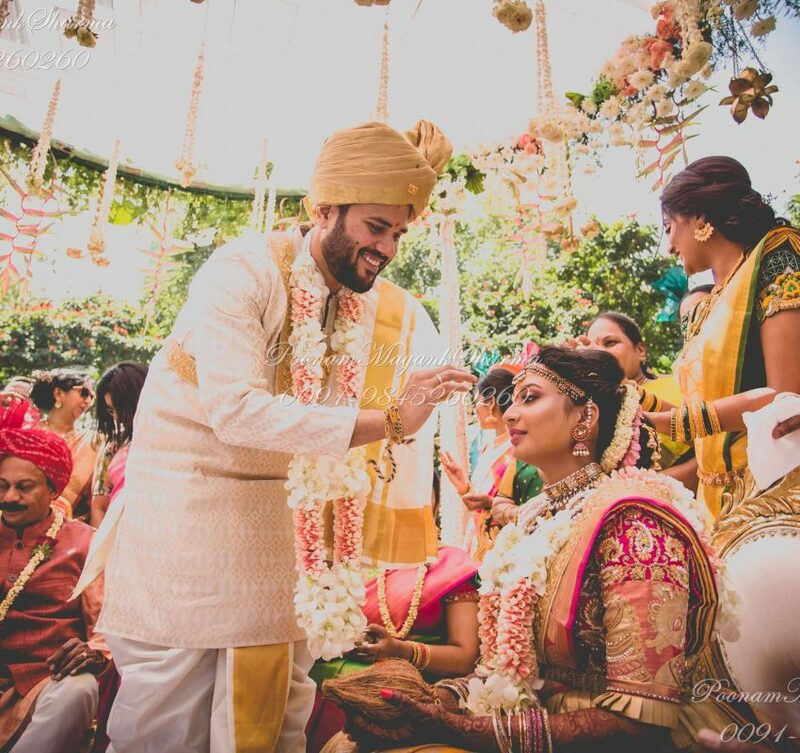 The Wedding of an Instablogger and an Architect with a suave Businessman was nothing less than extraordinary. 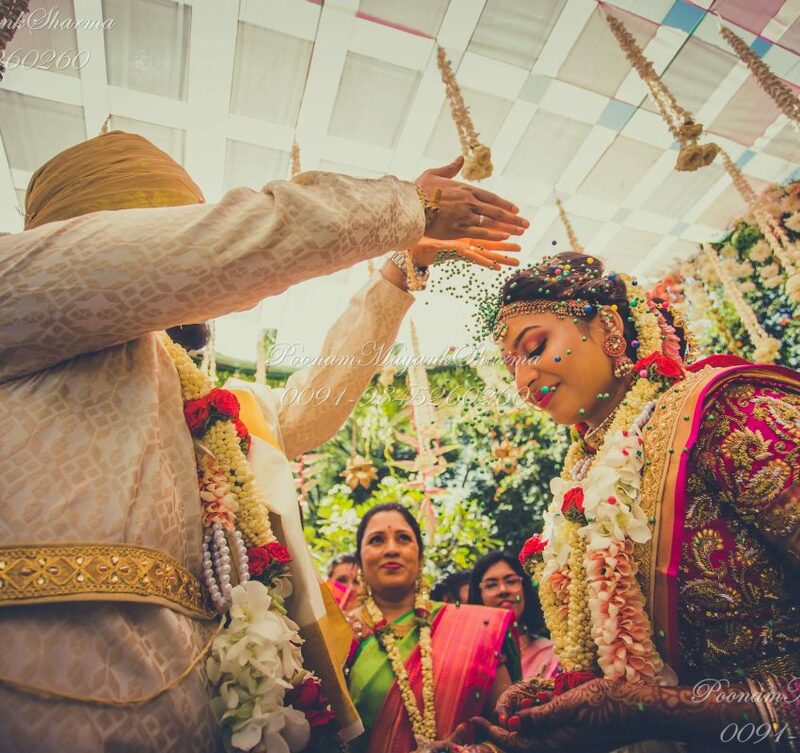 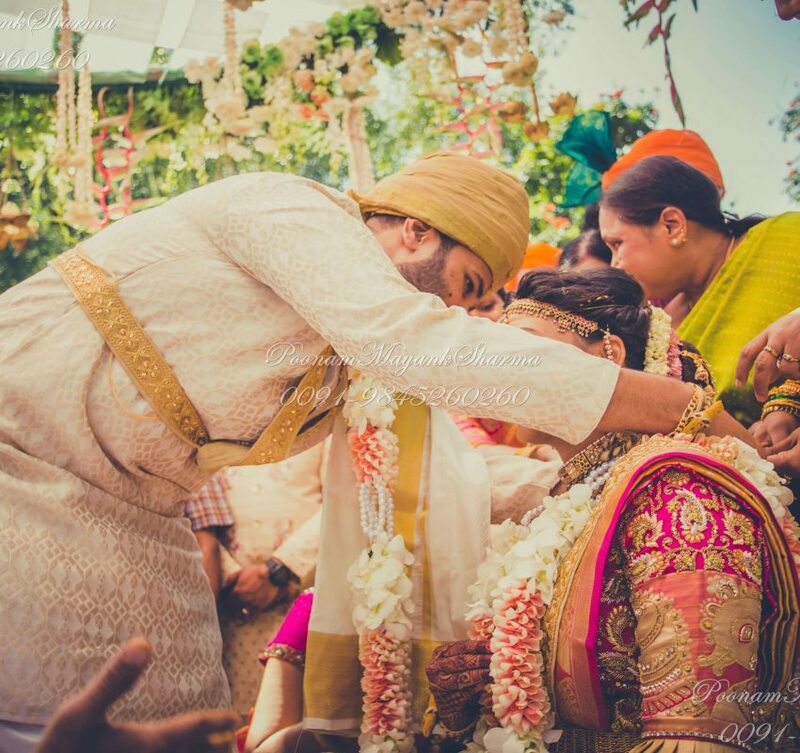 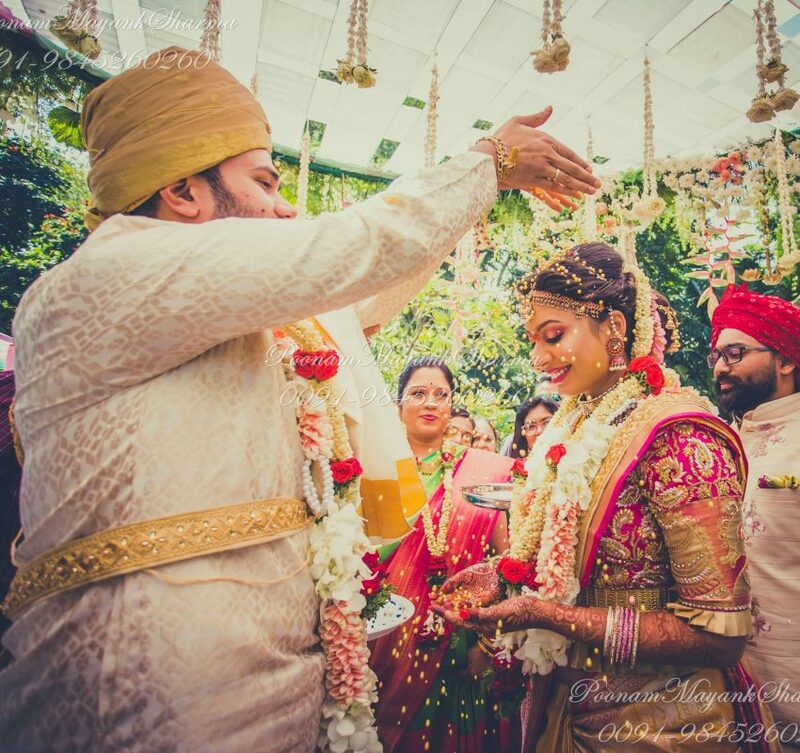 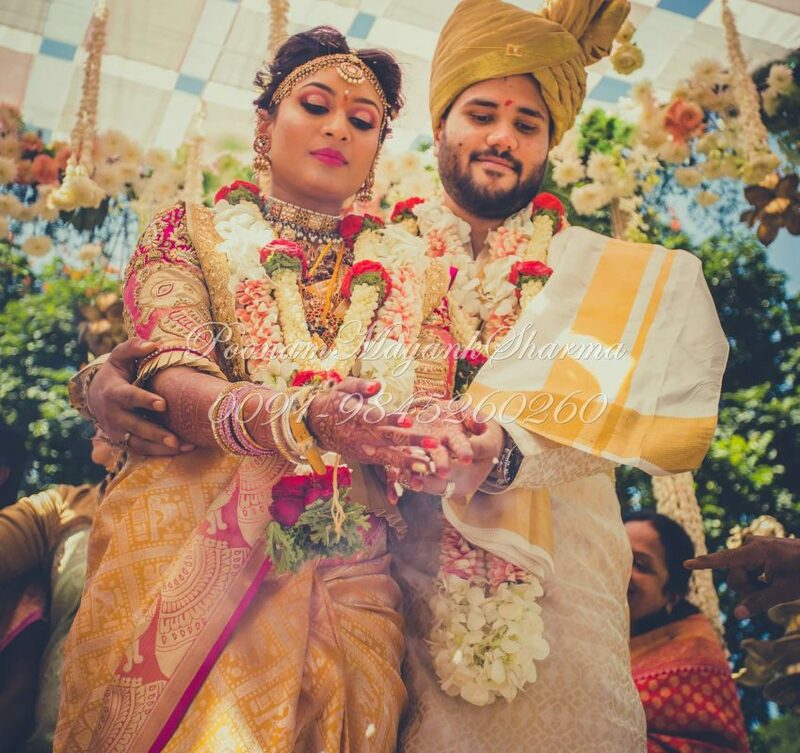 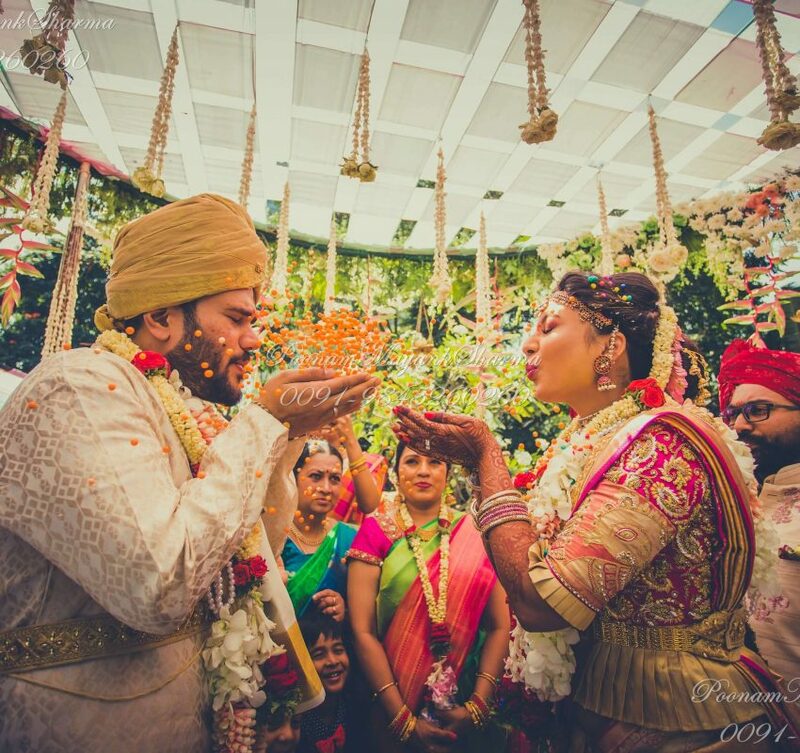 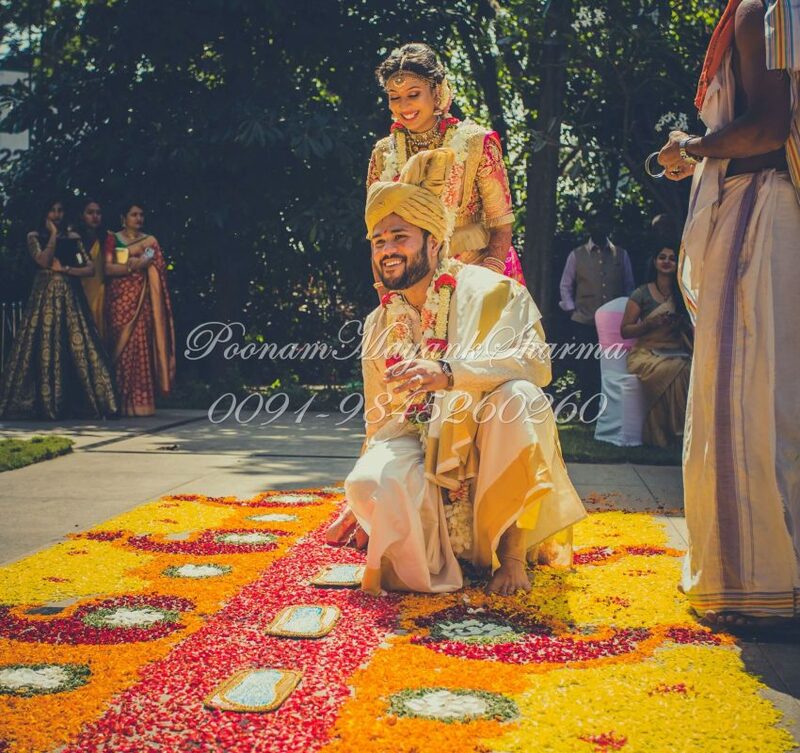 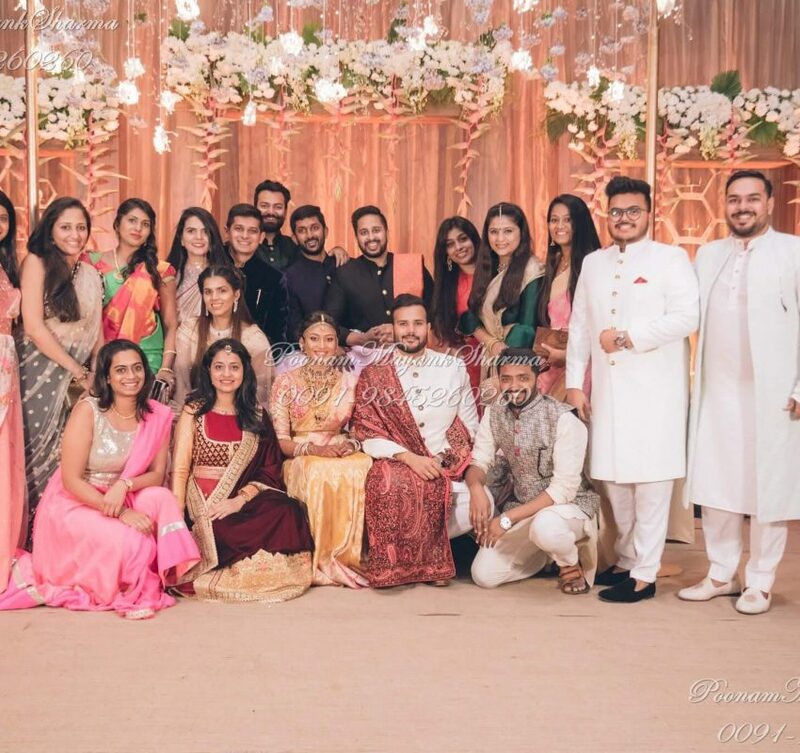 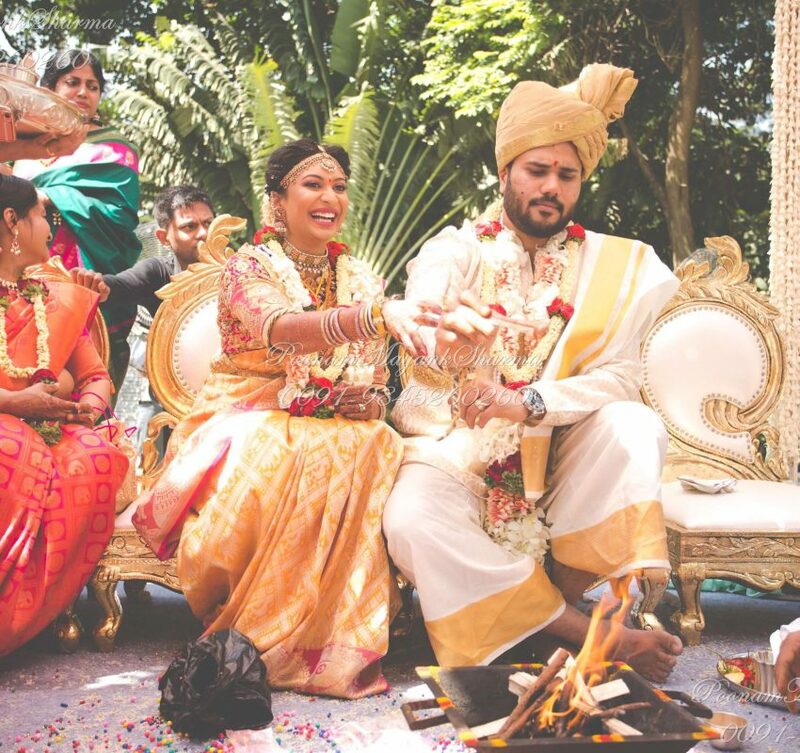 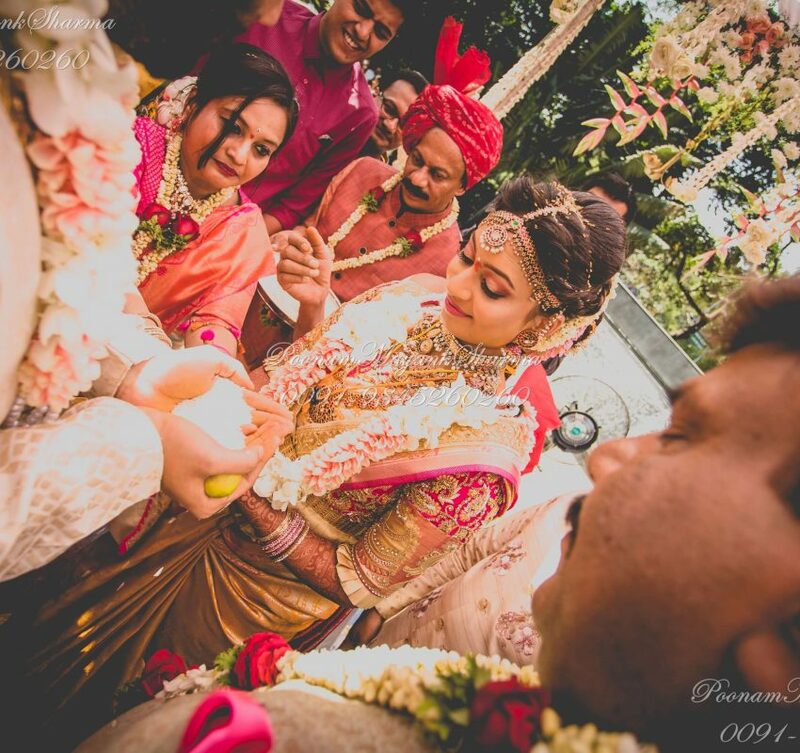 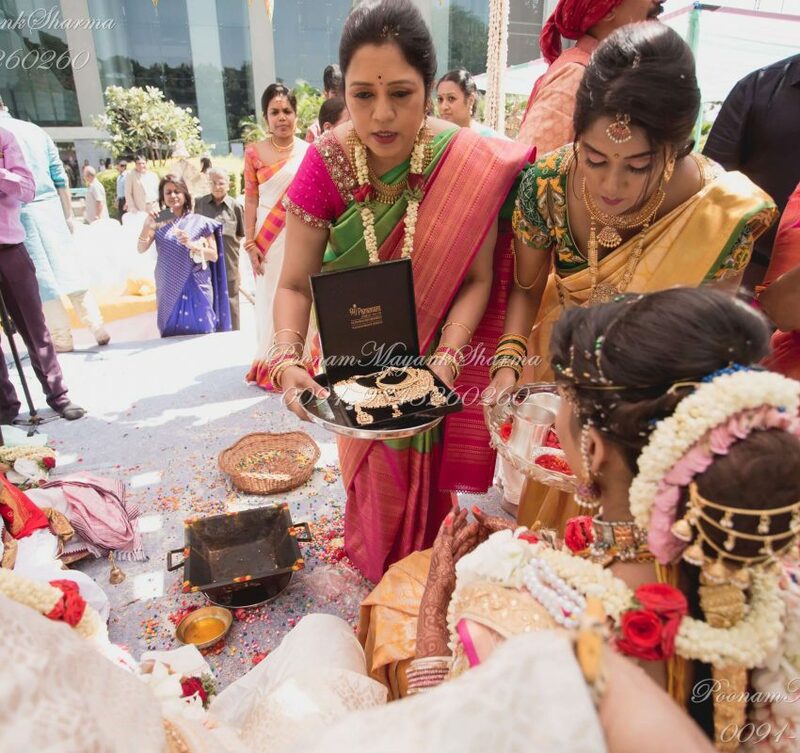 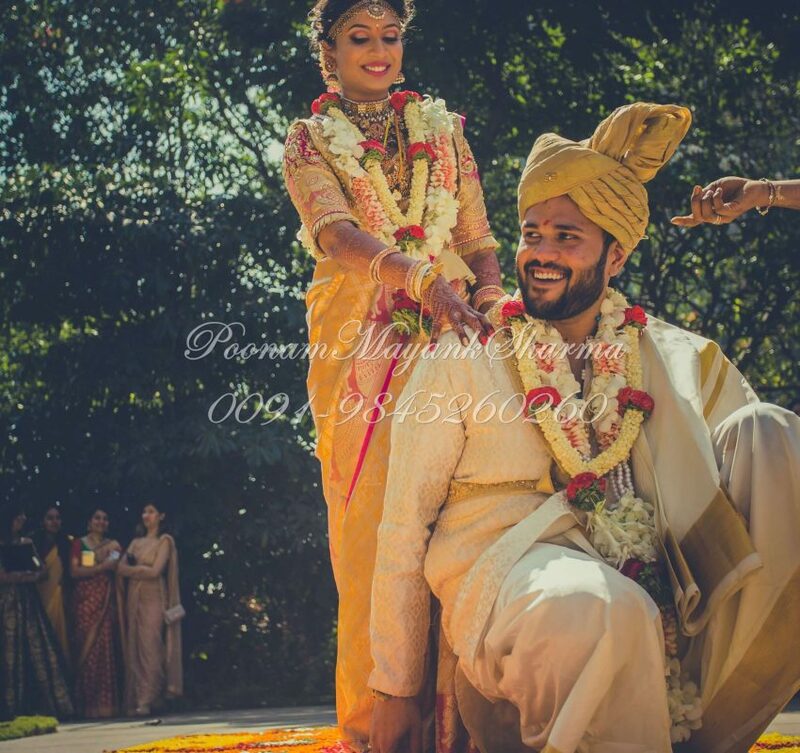 This typical South Indian wedding followed all the rituals in length. 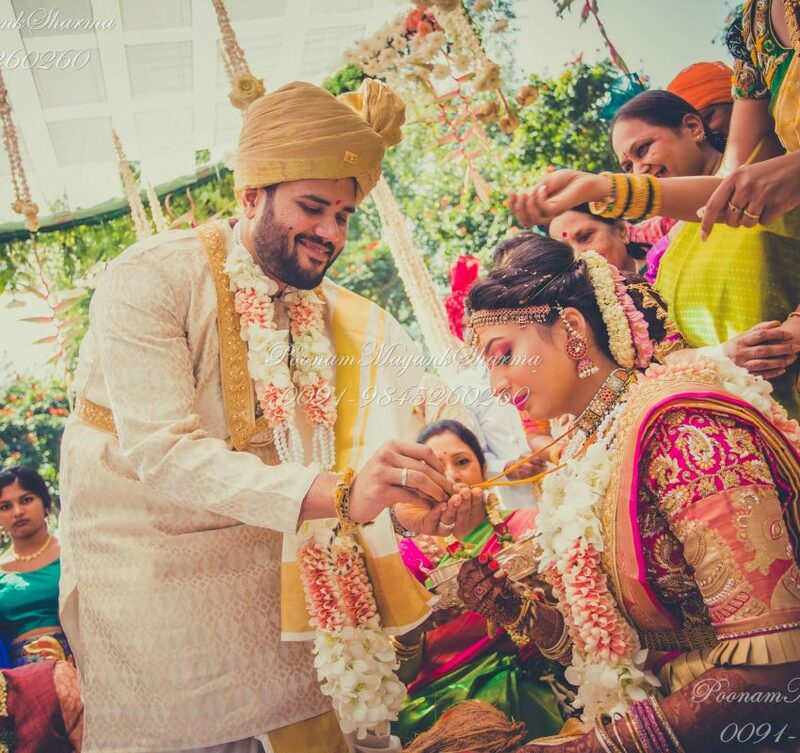 The final wedding day was at the JW.MARRIOT hotel , Bangalore on Lavelle road. 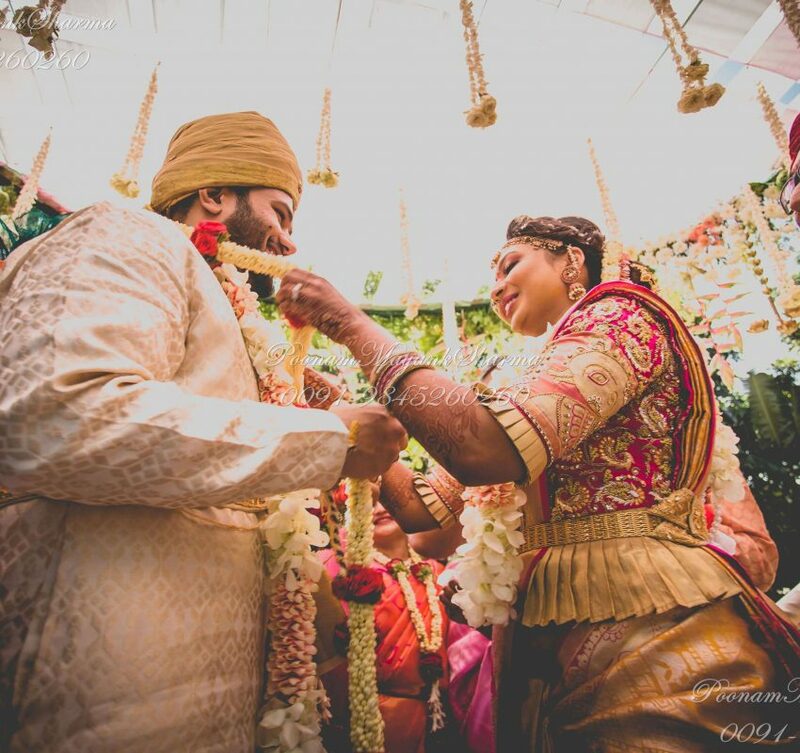 Planned to the tiniest of details, the event was conceptualized in line with the vision of the Bride and her mother. 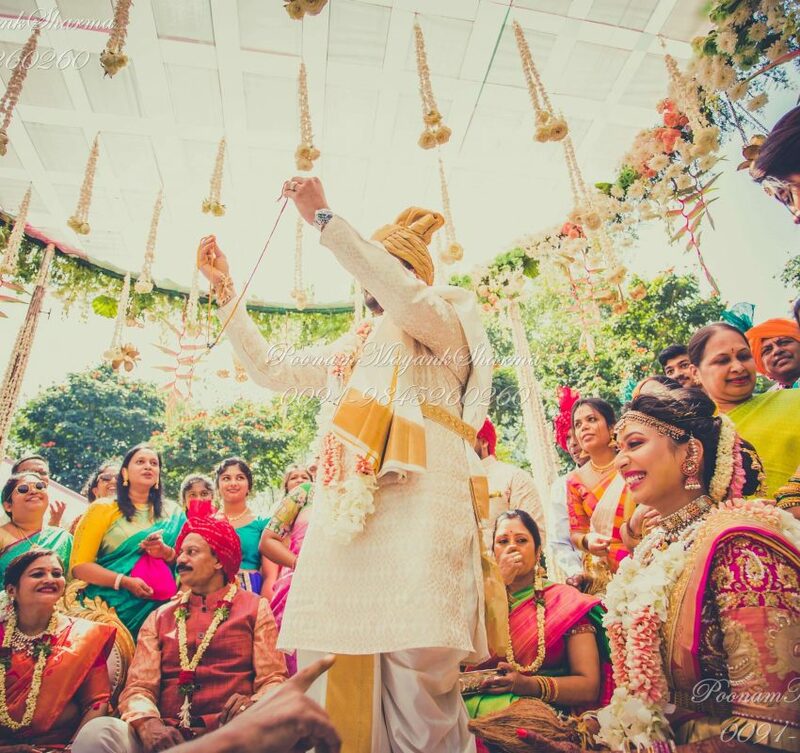 The wedding was a contemporary yet traditional affair. 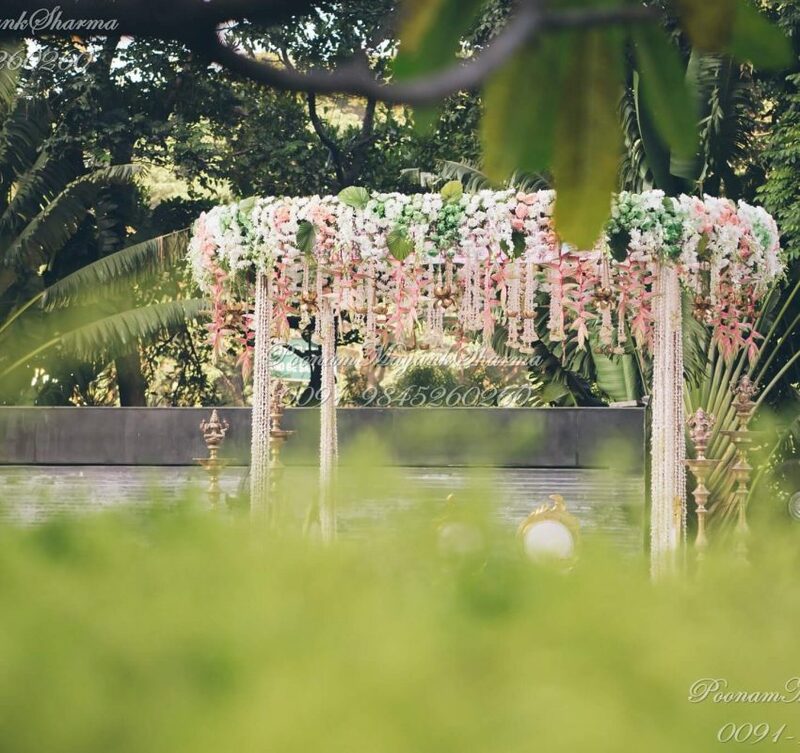 Painted in hues of Mint and Pastel Pink, the venue had elements of surprise in form of life size letters of the Bride and Groom’s initials and paper Rose photobooth. 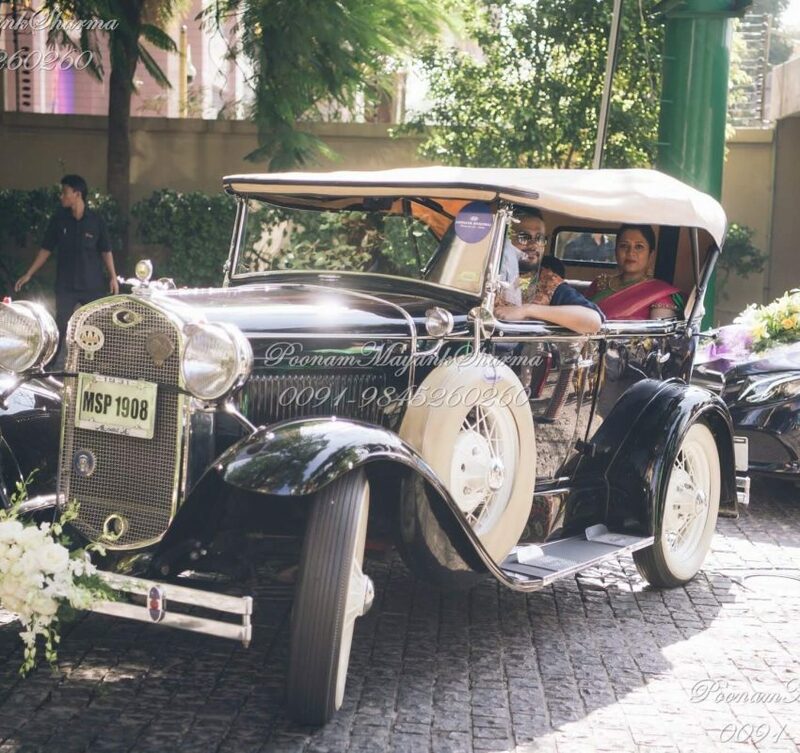 The high point of the event was the Grand Entry of the Bride in a Palki and the Groom in a vintage car. 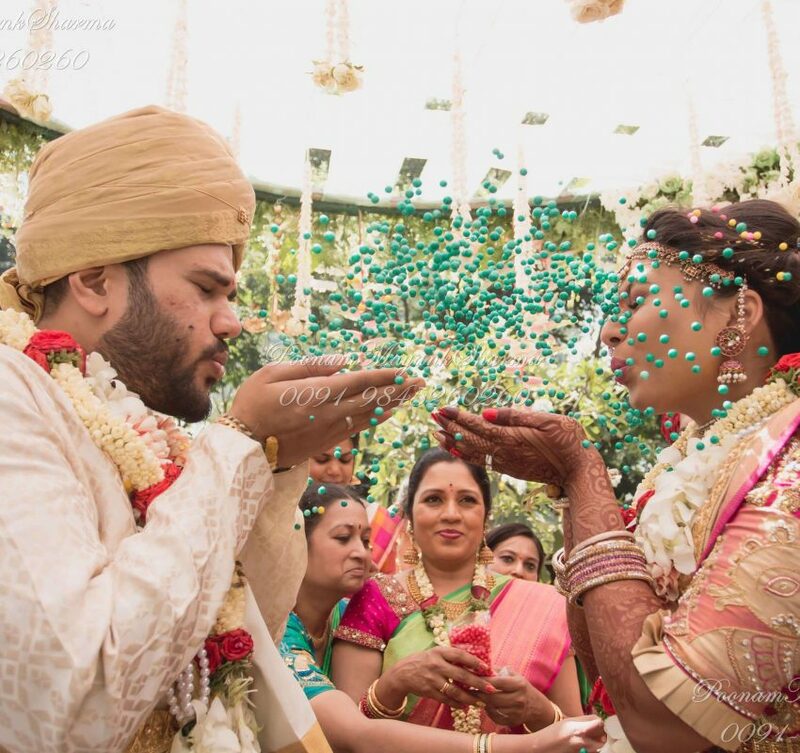 The décor was well thought of and very tastefully planned. 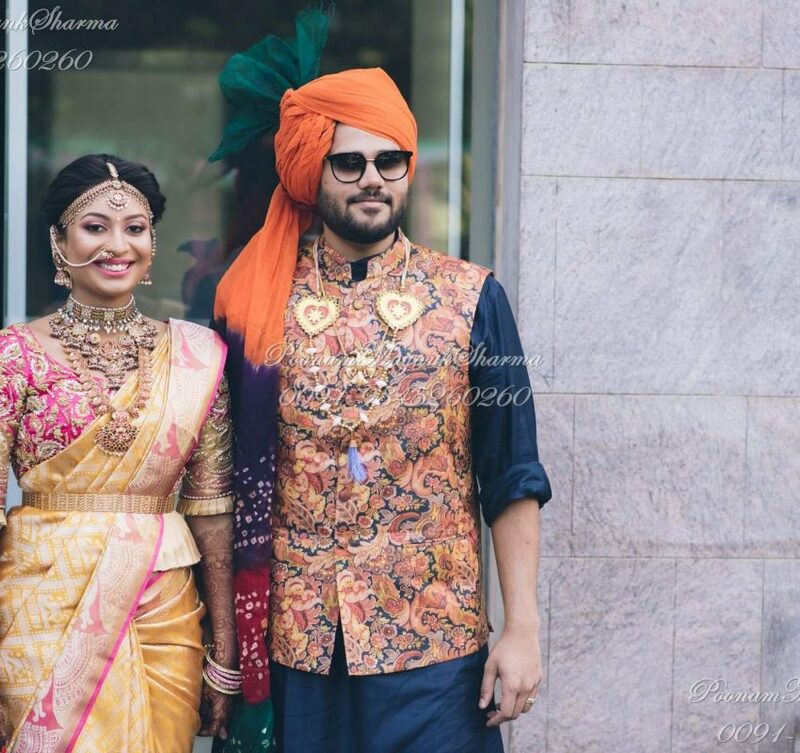 The designer outfits of the Bride matched the entire aesthetics. 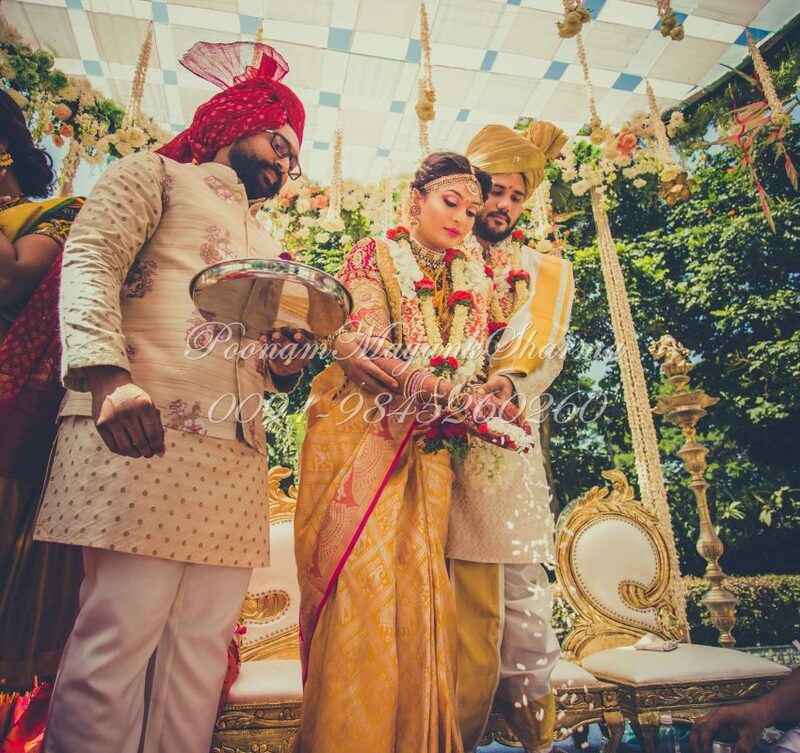 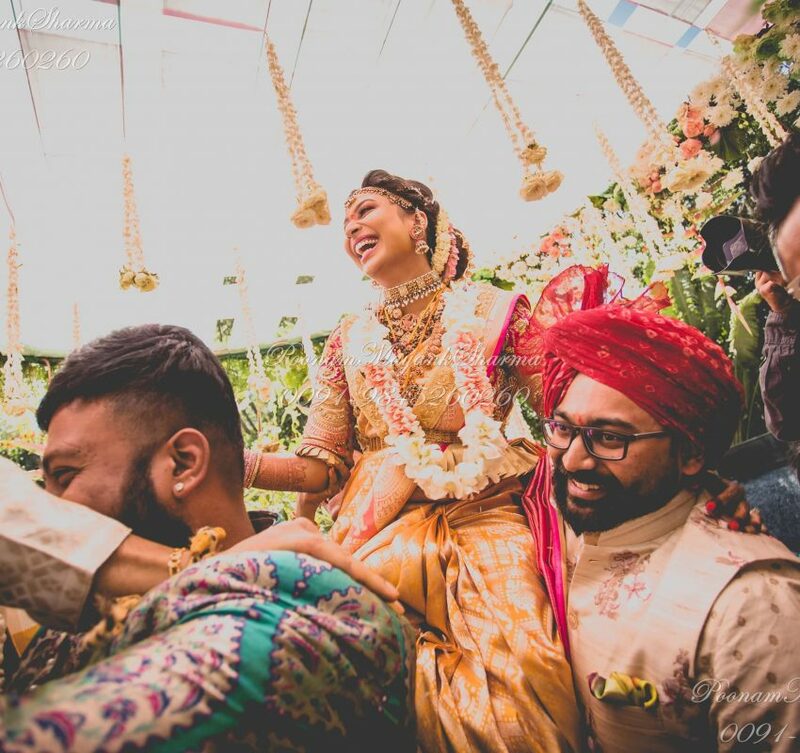 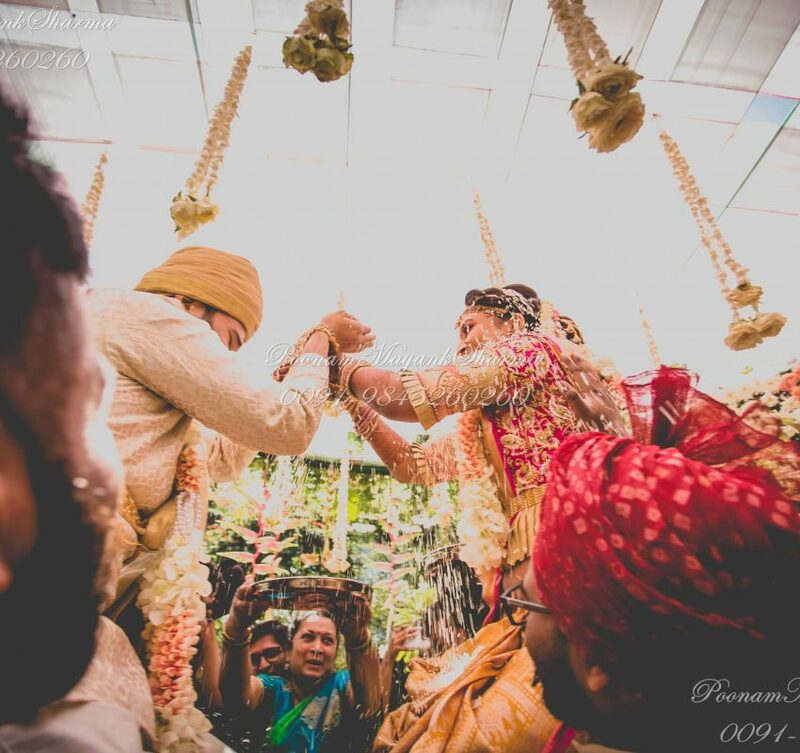 The bride entered on a very traditional motiffed doli carried by her brothers to the beautiful circular mantap with its roof in a criss cross pattern of strips of pink and teal fabric Strip. 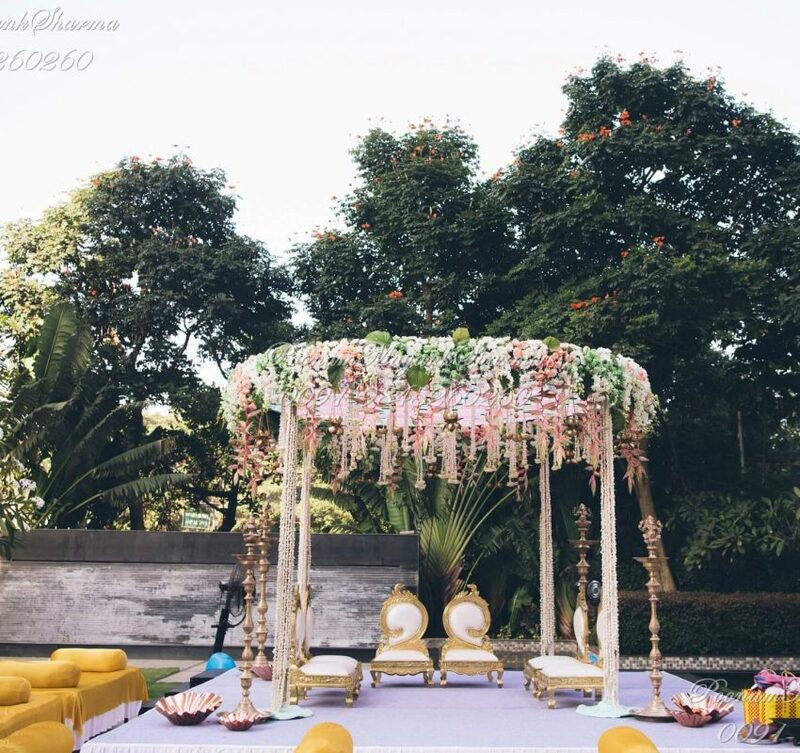 The well Crafted Mandap Ceiling was thoughtfully planned and Crafted to allow the right kind of Sunshine to pierce Directly into the mandap in the Mornings of Beautiful November. 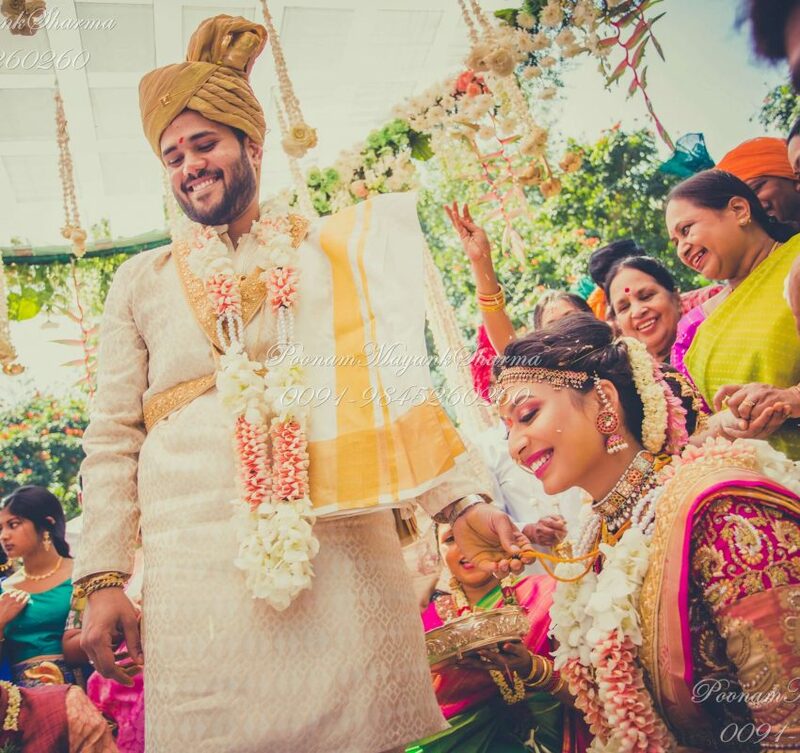 The entire mandap was accentuated with antique brass lotus, bells, tall Beautiful Traditional South indian Lamps , flowers and crystals intersperced with Hanging Flowers from the from the roof. 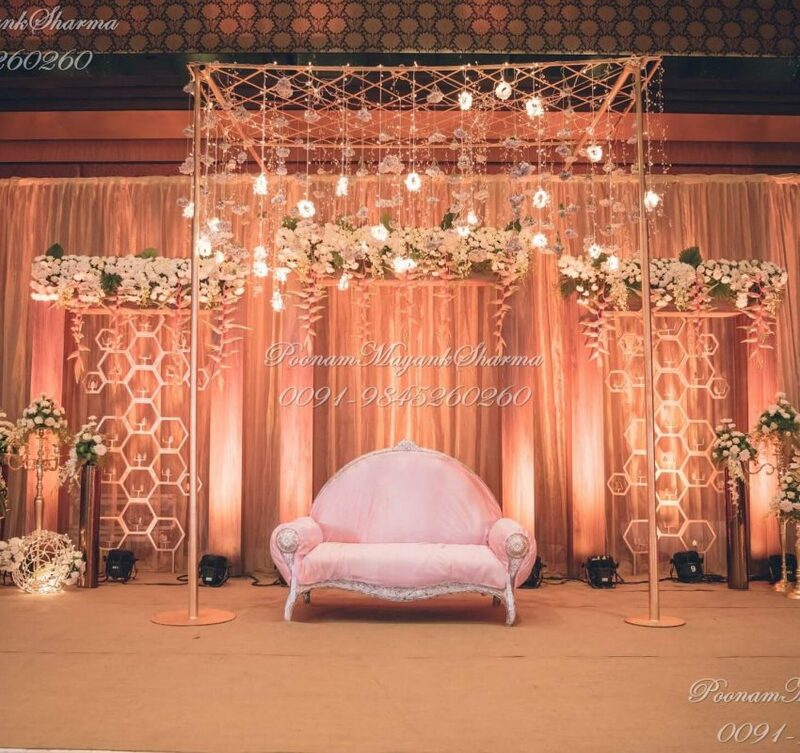 Tiffany chairs with the bow ties of the same theme and colours were arranged. 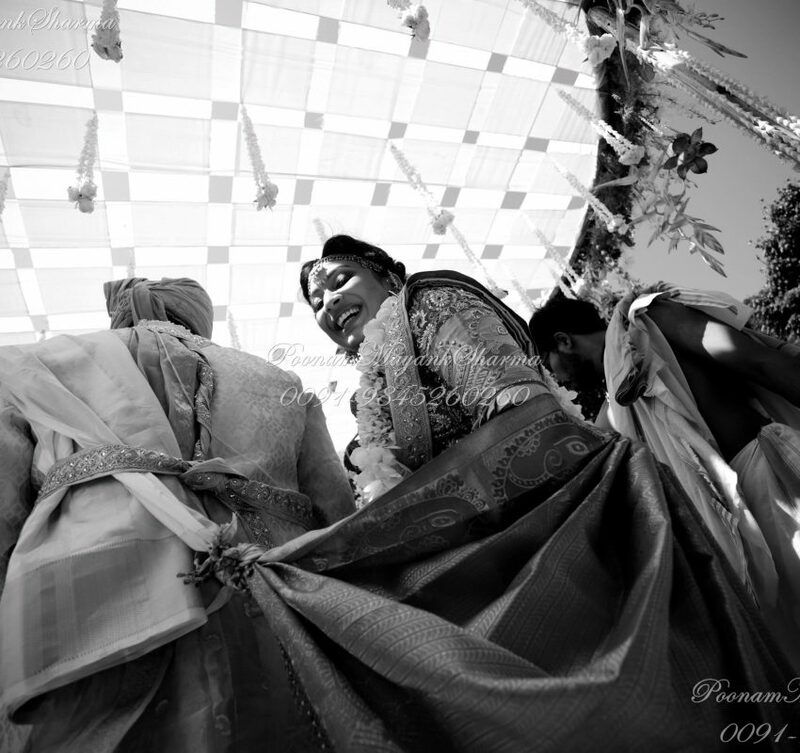 This was followed by a reception in the banquet hall of Marriot itself. 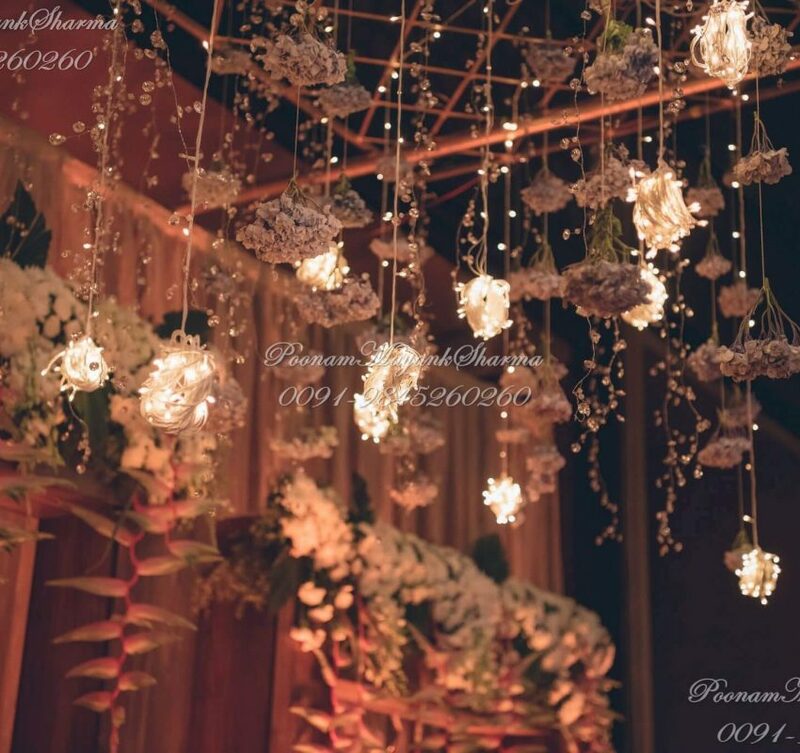 This event was more of a French theme with wooden frames, hanging glass bowls and fairy lights. 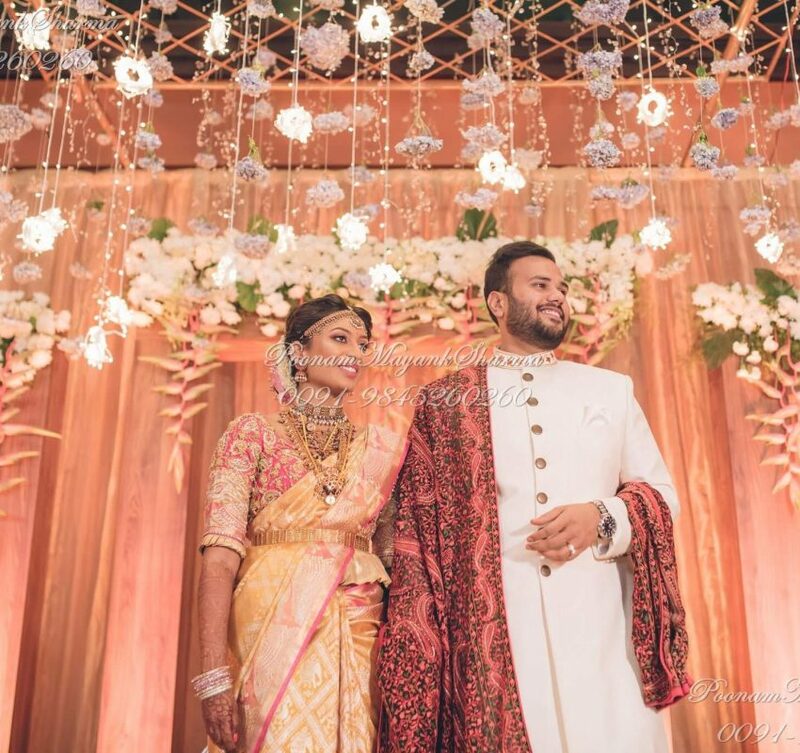 The bride was beautifully dressed in Kanjeevaram saree with peacock border and silver zari.